The Environmental Working Group’s new Dirty Dozen list moved spinach higher because of an increase in the amount of pesticide residue found on plants in this year’s tests. I know spring has arrived, not only because yellow flowers are popping up but because the annual “Dirty Dozen” and “Clean Dozen” lists have been presented. This is a report by the Environmental Working Group that uses the list of produce tested for pesticides by U.S. Department of Agriculture to create a list from highest to lowest in pesticide content. Sounds good, but as a registered dietitian who follows research-based information, this list always sends up red flags for several reasons. For starters, just the name, “Dirty Dozen,” is a discouragement to eat items on the list even though they are nutritious. This year, the “clean list” includes sweet corn, avocados, pineapples, cabbage, onions, frozen sweet peas, papaya, asparagus, mangoes, eggplant, honeydew melon, kiwis, cantaloupe, cauliflower and grapefruit as having the lowest concentration (by weight) of pesticides. The “dirty list” condemns strawberries, spinach, nectarines, apples, peaches, celery, grapes, pears, cherries, tomatoes, sweet bell peppers and potatoes as having the highest level of pesticides (by weight). For example, spinach showed a sharp increase in pesticide residue since last tested eight years ago. 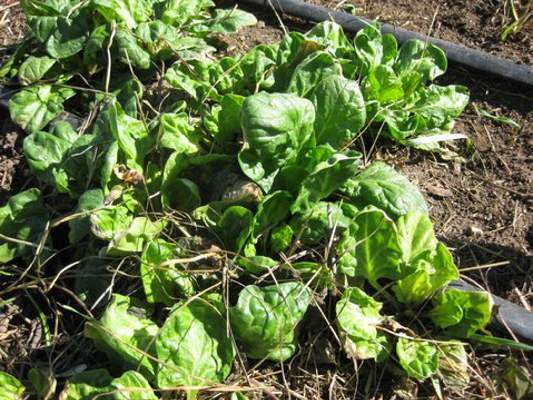 The pesticides involved for spinach were three fungicides and one insecticide. Apples fell from first place down to fourth on the list and pears rocketed from 22nd place to sixth place. Buying organic produce based on pesticide content is limiting and can be harmful. We know without a doubt that we need to eat produce to adequately nourish our bodies. Some essential nutrients come only from produce. The problem happens if people can’t get or can’t afford organic produce. Then, the selection and quantity of produce purchased is often limited. EWG’s dirty and clean lists are actually not related to the safety of the product. The scoring system considers all pesticides to be equal and doesn’t relate the pesticide amounts to known safety standards. Some have greater toxicity than others, but EWG considers them to be equal. To create its list, EWG looks at: 1) percent of samples tested with detectable pesticides (amount or type not measured); 2) percent of samples with two or more detectable pesticides; 3) average number of pesticides on a single sample; 4) average amount found measured in parts per million (regardless of specific chemical); 5) maximum number of pesticides found on single sample; and 6) total number of pesticides found on the produce. The results are then ranked. Nowhere does it consider different types of chemicals (organic or otherwise) and what the established safe level is or what level is on specific items. There is always a top dozen and bottom dozen regardless of actual safety level. Some produce is put on the list not because of detectable pesticides or fungicides but rather because there is a “thought” it should be included. There are actually items on the clean list that also have pesticides. Rather than blindly buying organic produce because it is organic, I suggest you know the source of your purchase. Whether produce is from your own garden, from a local producer or a fruit stand, you have the opportunity to find out specifics from the producer. The most important considerations are: 1) increasing your consumption of all produce; 2) eating a variety of types and colors; 3) purchasing produce as fresh as possible; 4) choosing produce based on quality; and 4) knowing the reason for purchasing organic or otherwise.